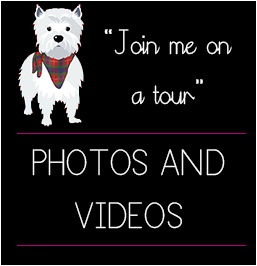 Graeme & Tracy are the co-owners of Scottish Terrier Tours; we are ideally located in Wemyss Bay, Renfrewshire a short drive from Glasgow, Ayrshire and right next to Argyll & Bute. Graeme is born and bred in Glasgow, with our knowledge of Scotland and tours of the best places to go and his local knowledge we are the perfect choice for your tour, after all, nobody quite knows the city like a Glaswegian! 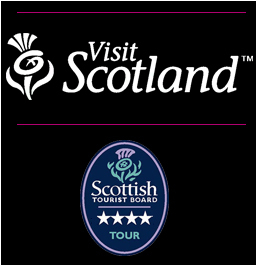 We offer tours all over Scotland, however, depending on the time you have there are certain tours from Glasgow we have listed below that are either more efficient time-wise or what we recommend as two local Scottish experts as “the best bang for your buck” if you are looking to take a tour of Scotland from Glasgow City Centre or greater Glasgow get in touch and complete our online quote for a free quote today. 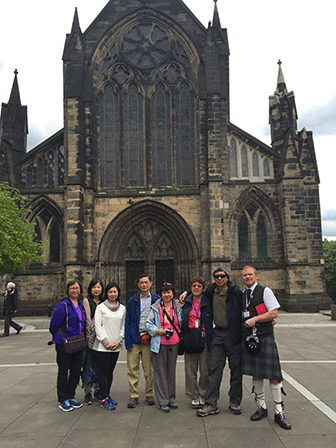 Due to our Glasgow tours and tours of Scotland from Glasgow being our real specialty, we also work from a family property in Glasgow so we are available for Glasgow tours as often as possible we are nearby all local transport amenities where you will likely be dropped off if just arriving in Scotland. 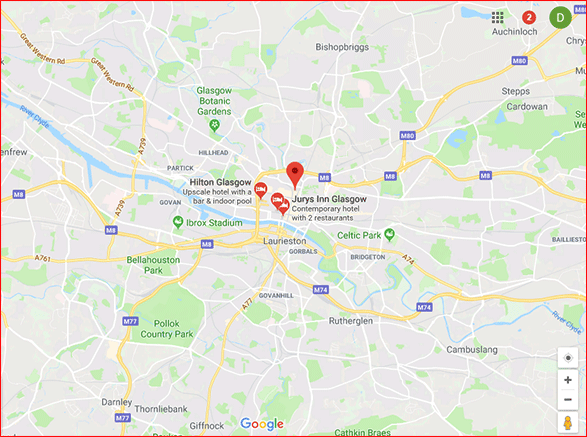 The location that we operate from is 355 Lincoln Avenue, Glasgow, G13 3LR in the Knightswood area of the city. 6. Loch Lomond and The Trossachs national park and Glencoe Mountain range. 10. Jacobite Steam Train – this involves an early start to catch the train in Fort William at 10.15am. Glasgow Cathedral, Glasgow’s Oldest House, Necropolis, George Square and City Chambers, lunch at a traditional pub, Kelvingrove Art Gallery, Glasgow University and Riverside Transport Museum including Tall ship and River Clyde. 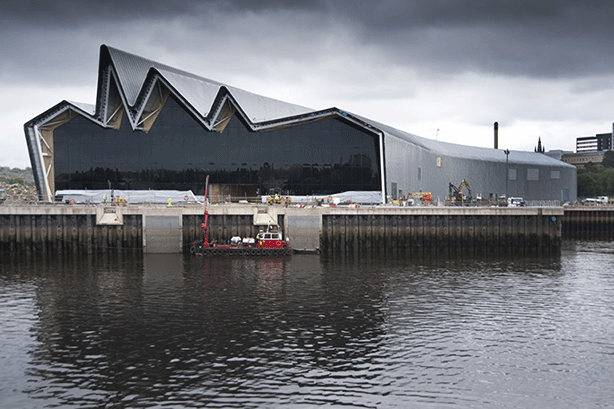 Visit Clydebank, famous for its shipbuilding history and birthplace of The Queen Mary and The QE2. Day 1: Collection from Glasgow at 8 am, drive along Loch Lomond, visit Tyndrum for refreshments, stop off the eerie Glencoe Mountain range, scene of the Glencoe Massacre of the Macdonald Clan. Travel to Fort William, visit Inverlochy Castle, lunch before boarding The Jacobite Steam train to Mallaig. Overnight stay in Mallaig/Arisaig. Day 2: Collection from accommodation to board the early morning boat, following the footsteps of Bonnie Prince Charlie to over the see to the Isle of Skye, once safely ashore visit Fairy Pools (a wee dip in the magical pools is optional, see attached video), Dunvegan Castle and lunch, Uig and Faerie Glen, Quiraing, Kilt Rock and Old man of Storr. Travel to Portree for the overnight stay. 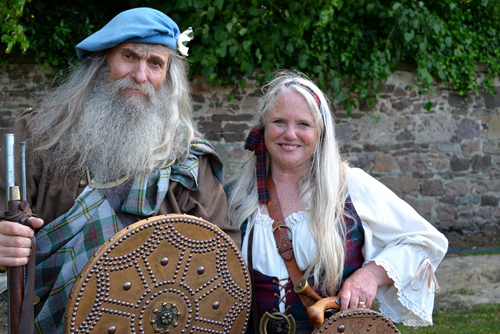 Day 3: Collection from accommodation, over the Skye Bridge to Kyle of Lochalsh, visit Eilean Donan Castle, Falls of Invermoriston, Urquhart castle on the banks of Loch Ness, where most sightings of the Loch Ness Monster have taken place. Lunch at Loch Ness Inn, Drumnadrochit before driving up the lochside to the Capital of The Highlands, Inverness. Drive through the Cairngorms National Park and return to Glasgow. Doune Castle in Stirling, Castle Leoch in the series and home to Colum MacKenzie and his clan in the 18th Century. Falkland, Kingdom of Fife, this stands in for the city of Inverness in the series, where you can visit Falkland Palace and Gardens. Culross, Kingdom of Fife, which in the series is the village of Cranesmuir the home to Claire’s family friend Gellis Duncan. Bo’ness Kinneil Railway, which doubles up for wartime London, a heritage railway museum. Collection from accommodation in Glasgow, visit Auchentoshan Whisky Distillery, near Glasgow for 1 hour tasting tour (£10.00 per person) at 10 am. Travel on to Loch Lomond, stop off at the 17th Century Drovers Inn for lunch, then travel the scenic route through Loch Lomond and The Trossachs National Park arriving at Deanston Distillery, Stirlingshire for 1 hour tour (£9.00 per person). Last whisky stop is Glencoyne Distillery, Dumgoyne for a tasting and a short walk around distillery (£10.00 per person). Travel back to Glasgow and drop you at your accommodation. 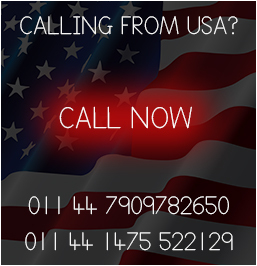 How Our Tours From Glasgow Work? 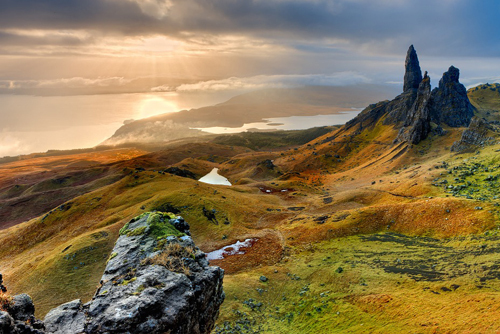 If you are travelling on holiday (or vacation) to Scotland and your destination is Glasgow or surrounding areas or you simply want to see the best of Glasgow & the west for a day? We have a full itinerary specifically tailor-made for you. Do you pick up at our arrival in Glasgow and drop off? 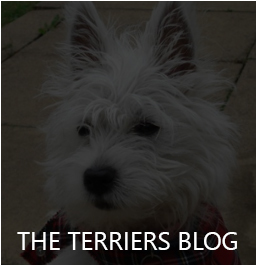 Yes, one of the owners of Scottish Terrier Tours Graeme has a background as a driver for the Scottish police force, so you’re in safe hands and will be picked up promptly for arrival and dropped off for any departure with ample time. What happens next if you book a tour? 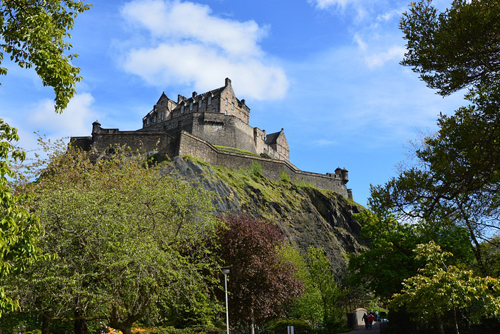 Although we are extremely well organised, we are not restricted like some other Scottish tour companies, who have set tours, prices, destinations, and really just offer a seat on a coach. Best to start with a hello on the form below and we can have a chat about a bespoke tour of Scotland from Glasgow that you will remember! Glasgow is the largest city in Scotland by population and by the size of the lank, however, Edinburgh is the nation’s capital. Glasgow has received many awards over the years for its nightlife and architecture and has been the European City of Culture two times and nominated many more. It his home to many old buildings with many of Glasgow’s buildings dating back to the 13th century and even further back. Glasgow is home to one of the worlds oldest underground railway lines. The worlds first international football match between England and Scotland was played in Glasgow and the city is famous for being a football (soccer) city and is home to one of the world’s most famous football rivalries between Glasgow Celtic and Glasgow Rangers. Along with the west coast of Scotland, the city is famous for shipbuilding during world war 2 and beyond. The name ‘Glasgow’ is known as ‘dear green place’ in Gaelic, with many gardens and hills on display thats an understandable and very accurate name especially for a city in the united kingdom.